LRInspire editor Matt Remle recently spoke with Haipažaža Pȟežuta co-founder Tipiziwin Tolman (Lakota/Dakota) about the company and its products, vision and what motivated them to start the company. 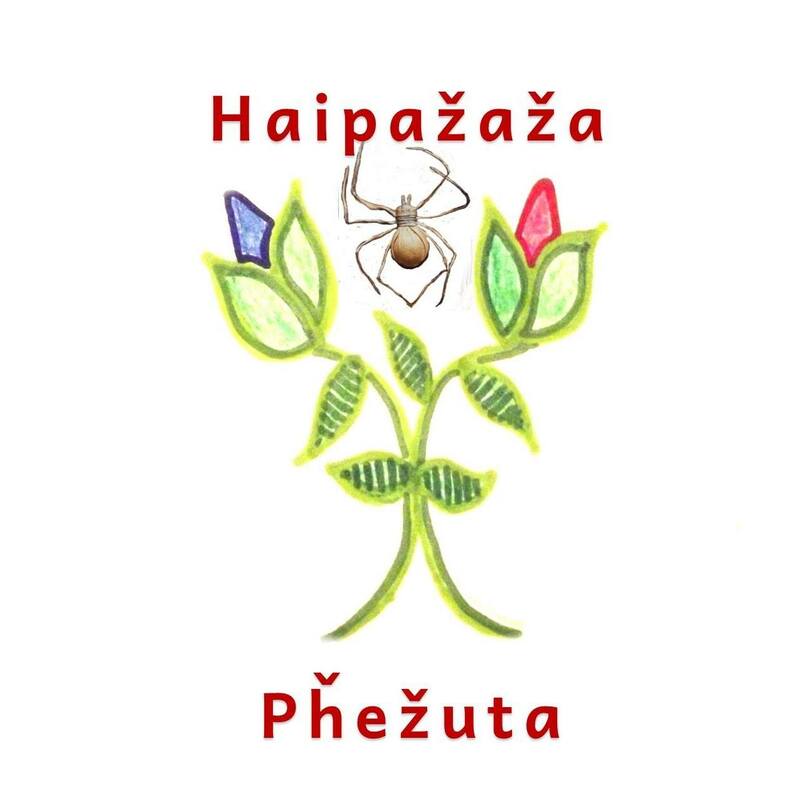 Tell us about Haipažaža Pȟežuta? Haipažaža Pȟežuta means Medicine Soaps in our Lakota Language. About three years ago, we began to make our own soaps because our baby was battling with breakouts and rashes and he was just really fussy and uncomfortable. We basically were motivated as parents to comfort our son, and the first soap was our “gentle enough for fussy babies sweet grass soap“. We would make it in batches and share with our friends and relatives and we began getting great feed back and inquiries for more, so we began to make more and more. Our vision is that we can all take these small baby steps back to a healthier and conscientious way of living for our families, so all our soaps are made with natural products and we love that everything we make is hand made from our home with our good medicine. We are very steadfast and conscientious about the kind of energy we invite into our home, we pray often in our home and it makes all the difference to know that a product a person might purchase comes from a good medicine home versus, having no idea about the environment a product was made in or not knowing the kind of person it was made by, but yet we would use it on our sacred hair and skin and our children. This is very much in the same sense as being mindful of your energy (your medicine) when you cook food for others and also when eating out or wherever, wondering who made the food your eating and whether or not they carry good spiritual medicine or are they in need of healing and possibly toxic or unhappy people, because we all take all that in, whether we are aware of it or not…And as for our family, we are happy to share that our products are made with good medicine in a safe and clean environment and by parents who love their children, their people and despite challenges live a life dedicated to prayer and gratitude. Tell us about the products you sell? We have shampoo bars, that come in sweet grass, sage, bear root (osha), lavender, cedarwood, and tea tree plus peppermint, we also have an amazing horsetail herb infused shampoo bar made with herbs that promote hair growth. Shampoo bars are a great way to take those healthier for the grandmother Earth baby steps and eliminate some of the plastic from our homes. We also make body butters and they come in sage or sweet grass. We also have a magnesium body butter that is made with sweet grass infused oil. We have some newly scented hand and body soap bars in baby powder, coconut plus tangerine, charcoal coffee scent, Kentucky bourbon tobacco, and Crackling firewood and smoke. 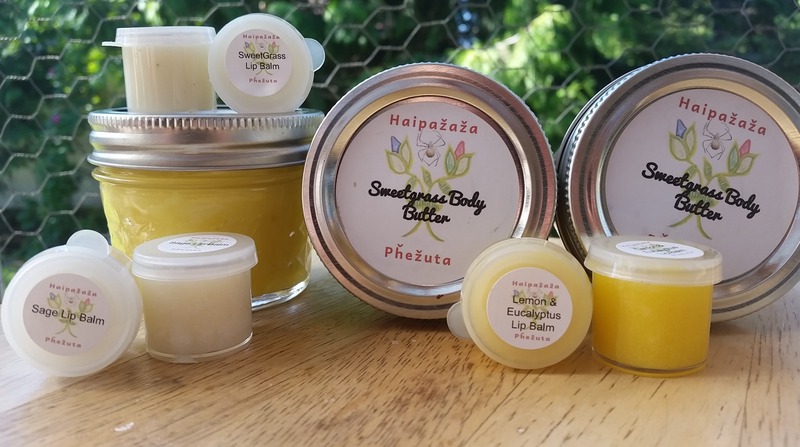 We also have lip balms in sweet grass, sage or lemon eucalyptus. What motivated you to want to start Haipažaža Pȟežuta? We began making our own products primarily because some of our children have strong allergies and eczema. No matter what we used, multiple kinds of baby products, his skin was inflamed, red, dry patches, itchy and he was super uncomfortable. We began really researching just using natural products, like organic coconut oil as a moisturizer instead of the classic pink bottled baby lotions. Immediately, we began to see a difference and a healing. Since using our products, he hasn’t broken out at all like he used to. Our feedback from our customers and relatives, especially for those who have the same battles with sensitive skin and allergies has been really awesome and it feels great to know that we can help and contribute to a persons’ well-being, health and comfort. We also participate in our community gatherings in our home communities in Lakota country and give aways’, gift giving and generosity are very huge ways of being as a Lakota family and as Lakota citizens of our Lakota/Dakota homelands. When I am gifted something at a giveaway, it is so beautiful to receive hand made gifts versus dollar store socks or candles. So a huge part of learning to make our soaps, shampoo bars, and body butters has been so that we can share them when it’s giveaway time in our family and communities. Why is it important to buy Native and to support Native owned businesses? There’s not a whole lot of native entrepreneurs and people all over the world are constantly emulating our indigenous peoples art and ultimately that hurts our peoples’ livelihoods. I also believe we are at such a crazy and critical time in our tribal people’s timeline here in America, with technology and social media creating a global awareness, it really is an amazing opportunity to really support our fellow tribal indigenous peoples in ways we didn’t get a chance to 25 years ago. Our family – we are from Standing Rock but we are now guests living in Nimiipuu (Nez Perce) tribal homelands in the Palouse region of Washington State. 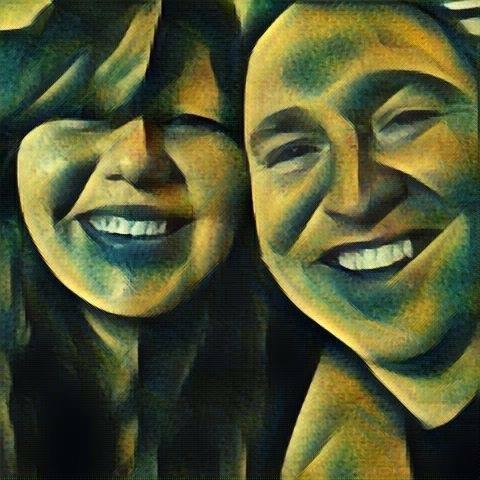 My husband and myself, we are both former Lakota Language Immersion teachers. 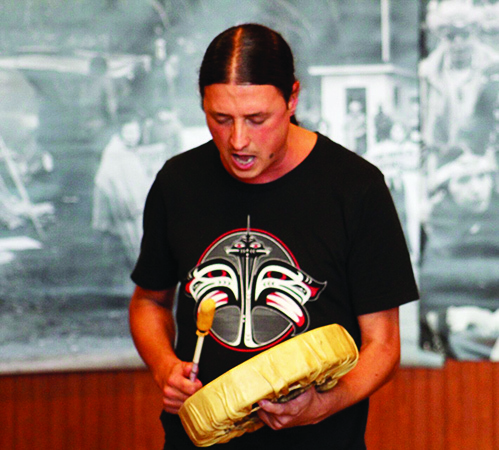 I worked at the Lakota Language Nest for five years since the time it very first opened. I was offered a place in WSU’s Ti’tooq’an Cuuk’we’neewit – Indigenous Ways of Knowing and Indigenous Knowledge Systems Alternative Teacher Certification program. We discussed it as a family and decided we would make the move and give our children an opportunity to see life as young people beyond the borders of Standing Rock. We are on such an amazing journey our here in the NorthWest with our five children. Our older children help us make and package our products. I have also been a life long, avid purchaser of beadwork and Native art and now I really do my best to buy from our tribal relatives any chance I get, because every purchase anyone makes – makes such a huge positive impact on our family and so that mutual support for native owned business is really vital and important and we respect that very much. Our plants we use, such as the sage and cedar is harvested by hand by our family. 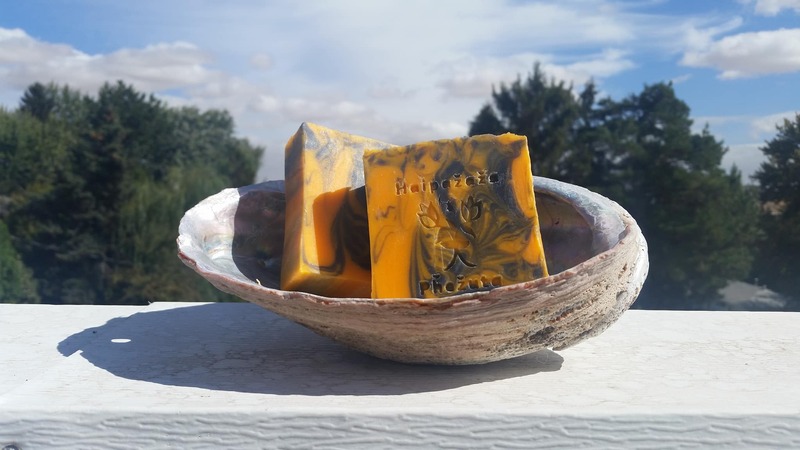 The sage that we grind up and use in our sage soaps and sage body butters are very special to my heart because the sage is harvested from along the Porcupine Creek, a tributary of the Missouri river, just north of the community of Fort Yates, on Standing Rock. I was born and raised there along the creek and my tiospaye (extended family) has lived there since the early 1800’s. The osha root/bear root we use in our soaps was gifted to us by the family of Dr. renee holt who is Nimiipuu. I want people to know that we respect the spirits of the medicine plants that we use to promote healing and health for all who use our products. We are mindful that everything we touch takes our spiritual energy, our medicine, we do our best to be the light and share good medicine. This entry was posted in Native Owned Businesses and tagged Dakota, haipazaza phezuta, Health, Lakota, LRInspire, matt remle, Native business, soaps, Standing Rock Sioux, Tipiziwin Tolman, wellness by lrinspire. Bookmark the permalink.